July 29, 2016 /PRNewswire/ — Four former federal prosecutors announced today the formation of a strategic law firm alliance called the Whistleblower Law Team, which utilizes their Government experience and knowhow in different geographic jurisdictions. 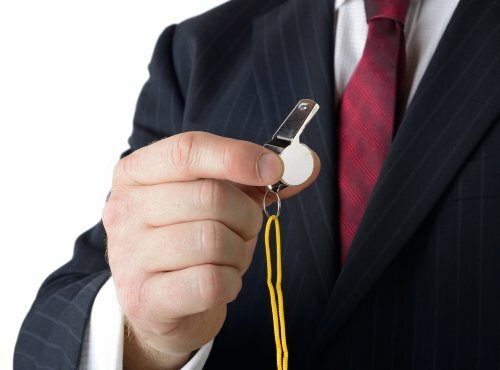 The team will be combining resources to assist whistleblowers under the False Claims Act, SEC, IRS and CFTC Whistleblower Programs and other laws designed to help detect fraud, compensate those who report it, and protect whistleblowers from employment retaliation. Team members are Timothy J. McInnis(New York, NY), Julie Grohovsky (Washington, DC), Thomas R. Fallati ( TRK Law, Albany, NY) and Paul B. Brickfield (Bergen County, NJ). The Whistleblower Law Team’s announcement comes one day before National Whistleblower Appreciation Day (July 30), which was established through a unanimous resolution by the U.S. Senate on July 7, 2016. Each of the team’s members feels passionate about representing whistleblowers and shared some of their views and sentiments in joining the Whistleblower Law Team. Putting a final point on it, in Albany, former Assistant U.S. Attorney Thomas Fallati (TRK Law) took pride in revealing that “Uncovering fraud and holding perpetrators to account are passions of mine. I look forward to working with the Whistleblower Law Team to serve whistleblowers throughout the country.” Thomas Fallati is also a partner at; Tabner, Ryan & Keniry Law Firm in Albany, NY. Tom Fallati represents clients in False Claims Act qui cases and other whistleblower actions. His Albany location is particularly helpful in matters involving fraud against New York State governmental agencies and offices, including New York Medicaid, the Department of Education, the Office for People With Developmental Disabilities (OPWDD), the Office of Alcoholism and Substance Abuse Services (OASAS), the Department of Health (DOH), the Department of Social Services (DOS), the Office of Mental Health (OMH) and the Department of Transportation (DOT), as well as sales and other forms tax fraud involving the Department of Taxation and Finance. Tom has successfully represented clients in complex multi-million dollar disputes. He has extensive trial experience in federal and state courts, as well as in arbitration. His experience includes breach of contract, breach of fiduciary duty, unfair and deceptive practices and other ‘commercial tort’ matters, corporate and partnership disputes, employment disputes and a wide range of other commercial disputes. Tom’s trial victories include a $10 million recovery in 2014 for a privately-held IT company against a publicly-traded software company for unfair and deceptive trade practices. In 2012, he secured a trial victory on behalf of a publicly-traded company in a complex commercial contract matter, winning dismissal of over $30 million in claims and securing a judgment of over $1 million.